Gay Vibes is another band that I used to file under “heard of, but never heard their music,” which is weird cause I’ve known Seth Graves for a little bit. I guess it’s cause I’ve always just been more partial to his music videos and the occasional funny column that he posts on the Nashville Cream than any of his music endeavors. In fact, the only band I slightly remember of his is probably POWERBRRRD, but since I barely remember them, I don’t think I was into them too much. 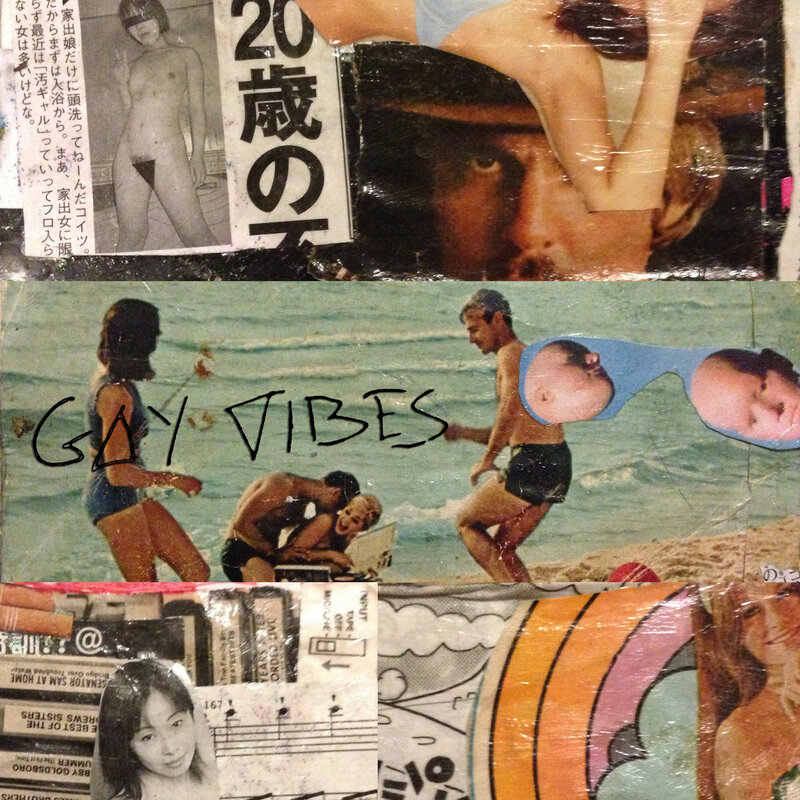 However, he sent me a copy of the new Gay Vibes record, My Baby’s Got Worms, so I gave the album the once over. Long story short, I dig it. Short story long, Gay Vibes is Seth Graves’s Frankenstein. It’s the sliced-and-diced, sewn-and-stitched result of ripping various clips from various types of genres; as the press release says, it’s a “sample-heavy mix of traditional hip hop breaks, glitchy beats, indie rock, deep cuts, dub flourishes, spacey psychedelia and spoken word excerpts…”. Somehow, he shape-shifts this stuff so that the square peg can go through the circle hole and in the process, he crafts something that’s actually very entertaining. Further kudos are in order because, unlike posers like Girl Talk, Graves knows how to make sure his tracks don’t overstay their welcome; the whole album clocks in at just under 20 minutes.